Choosing a platform to sell your products can feel like a daunting decision but it doesn’t have to be. 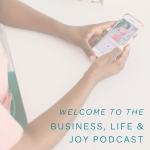 I see products-based business owners struggle with this decision and my hope is that today’s episode will help you get started so you can move on to bigger and better things! Since starting Because of Zoe, I’ve sold my hair bows on three different platforms: Squarespace, Etsy, and most recently Shopify. 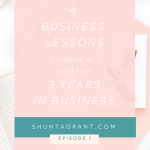 In this episode I share why I started out selling on Squarespace and added an Etsy shop and why I eventually moved away from both to set up my website on Shopify. I give you the pros and cons to each platform and my goal is that this will help you to determine where it is you want to sell and house your physical products. In April 2014, I began selling hair bows through Instagram and didn’t have a website. The time came that I needed a website to house my bows. My needs at that time were for something affordable since Because of Zoe was more of a side hustle. I looked for something that was user-friendly and didn’t require me to learn how to code or use HTML, and I also wanted something pretty. For less than $300 a year, Squarespace gave me those basic needs. I was able to use a custom domain, which is free if you stay with the annual program. Squarespace didn’t require any coding and was/is very user-friendly. I used Squarespace for almost two years. Over those two years on Squarespace, my needs grew. I needed something that would accept more payment options. While Squarespace now accepts PayPal, at that time it only accepted Stripe payments. I missed out on a lot of a lot of sales because of this and I knew this was a reason for me to move on. 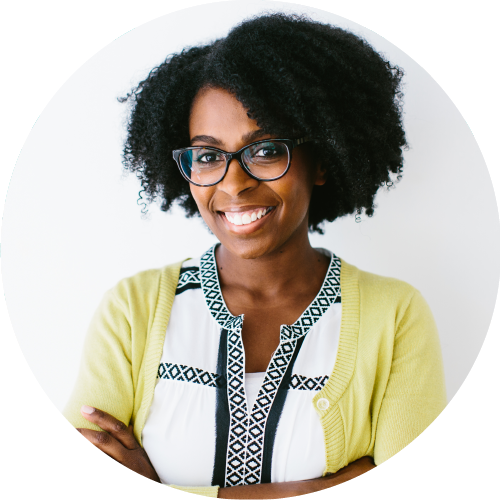 There were also different bells and whistles that would enhance my business that I didn’t have the option to add with Squarespace, such as a rewards program, customer reviews, and cart recovery. At the end of the day, Squarespace was not built for e-commerce websites that sell a lot of physical products, although it is possible for you to be successful as a product based business selling a small number of products, especially if you need a very aesthetically pleasing website that’s easy to build. Bottom Line: While I wouldn’t recommend Squarespace for selling products because you can get more bang for your buck with Shopify I will link to two businesses that use Squarespace to sell physical products so that you can see how others have utilized the platform– Emily Jeffords and Lot801. While I used Squarespace, I decided to also try out Etsy. My goal was to see if I could attract new customers that I hadn’t already met through social media or events. Once I had those new customers through Etsy, I would then direct them to my website to cultivate a relationship away from Etsy in a well-branded space. What is great about Etsy is the opportunity for traffic since it is a marketplace where people are coming to shop. With Etsy, you have a built-in audience that has the money and is ready to buy. Etsy has listing fees of .20 per listing which renews every four months. Additionally, Etsy charges 3.5% per sale as well as a payment processing fee. 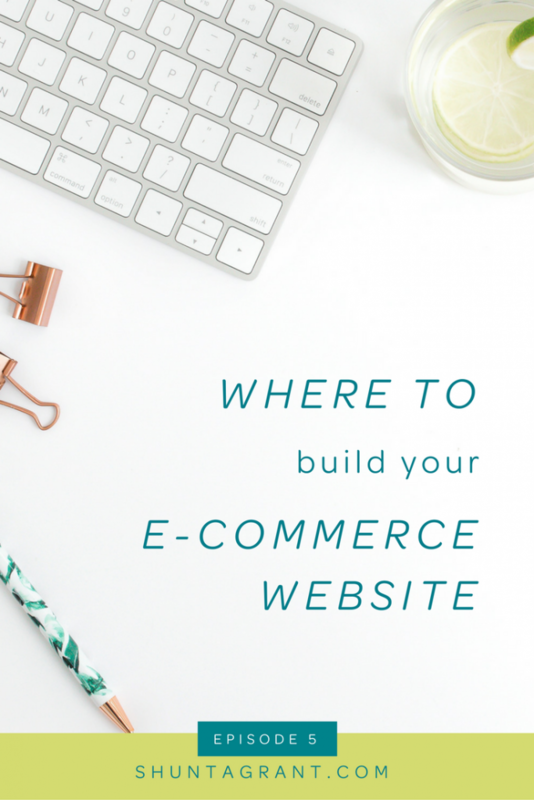 Depending on how well your shop does, your fees could add up to or exceed the amount it costs for a basic Shopify or Squarespace website. 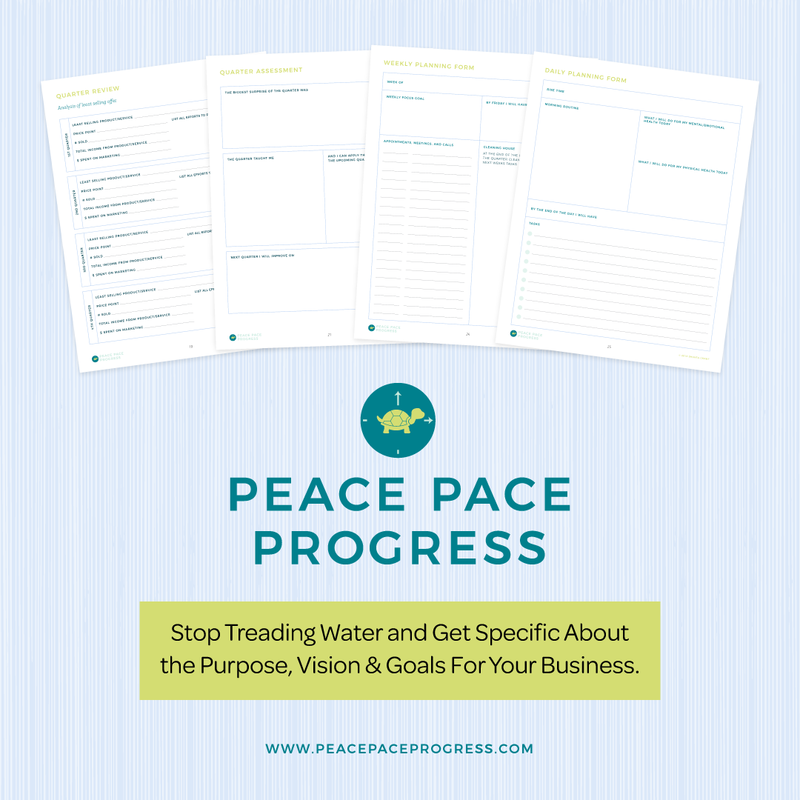 This is something to think about if you are planning on establishing a growing and sustainable business. Bottom line: While I understand potential exposure Etsy has to offer, it’s not the best route to building a long-term independent business. Etsy makes you play by its rules that ultimately don’t benefit you. It’s also difficult to cultivate relationships as there is no way to add an email opt-in. You can put your Mail Chimp link in your profile but it won’t lead to large list generation like it would if you were to have a call to action in the header or footer of your website. 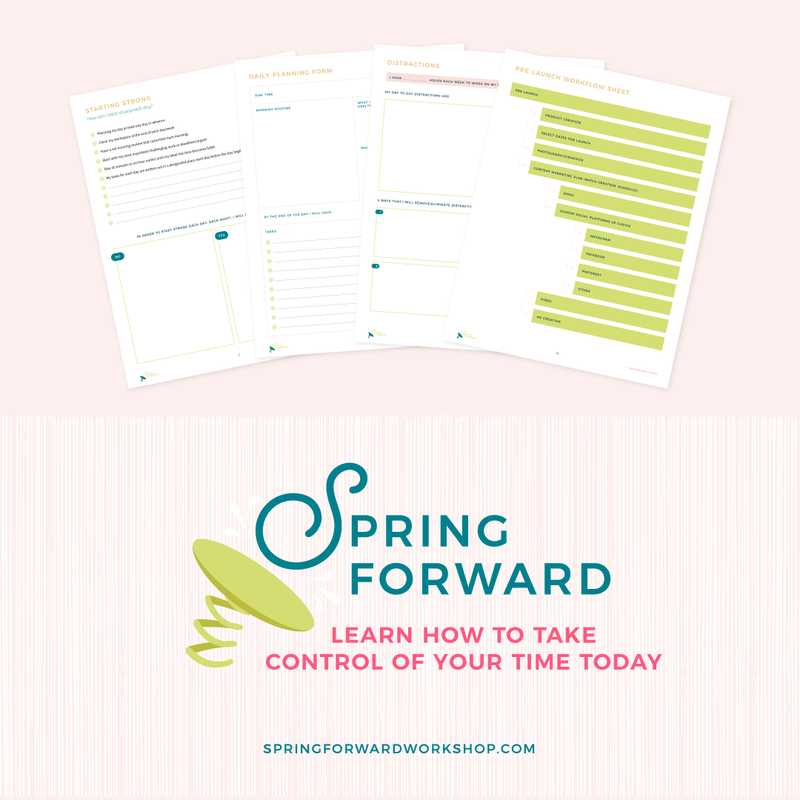 This is essential if you want a business that grows. I do not recommend Etsy as your sole or primary place to sell. 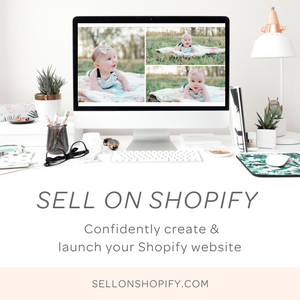 I share tips on transitioning from Etsy to Shopify in my training, Sell on Shopify should you find Shopify the best fit for you. While there are people making six figures on Etsy, the bottom line is if you can get people to go to your website, you’re going to make more money on your own website than you would on Etsy and you can do so using your brand’s story and using your own voice as opposed to borrowing the voice from someone else and sharing it with your competitors. After two years of selling on Squareface, I was ready to make the switch to something with more options to enhance my business. I needed to be able to take more payment options, have customer reviews on my product pages, the option to add a blog, a page for wholesale login for my stockists, a rewards program, and just the ability to add on to my website as the business grew. After looking at my options, Shopify would be the best for what I was looking for. To make sure that I was comfortable and that it was user-friendly, I did the trial run while keeping my Squarespace website and Etsy shop open. What I love about Shopify is that from the start, the homepage and dashboard give you so much information on your online stores statistics and reports. I also love that Shopify has a user-friendly app and that I can access information such as sales, visits, orders and really anything that I can see on the homepage from my computer. Shopify lets me see what products receive the most traffic and what products are doing well. I can see fulfilled and unfulfilled orders from the homepage as well. 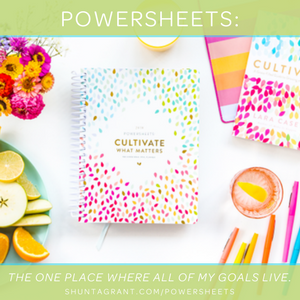 It allows me to see where my customers came from when they submit an order, which is important to make note of each quarter so you can see where your marketing efforts are getting the most return on your investment. You can really have a true relationship with your customers through Shopify’s customer tab. The best part is being able to recognize customers for their loyalty because I can use the customer information to track milestone sales. With Shopify you also have the option to sell through on various channels like Facebook and Pinterest and it all funnels through your Shopify site. ✔️Comparable pricing for basic plan to Squarespace and it has everything you need to start out. Bottom line: As you can see, with Shopify the pros heavily outweigh the cons. If you want to sell products online for a long period of time and grow a sustainable business, my advice is to go with Shopify. 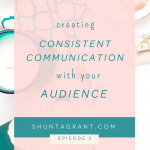 After listening to today’s podcast, decide which platform will provide you with what you need in order to sell your products and connect with your audience through the platform. I would love to hear your #1 takeaway from today’s episode. 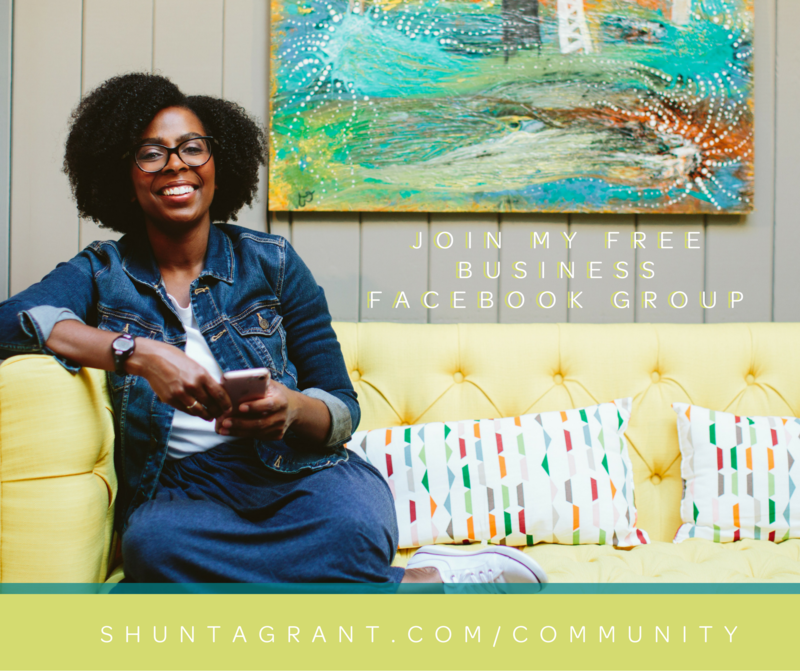 Share with me over on Instagram @shuntagrant. Chat soon!